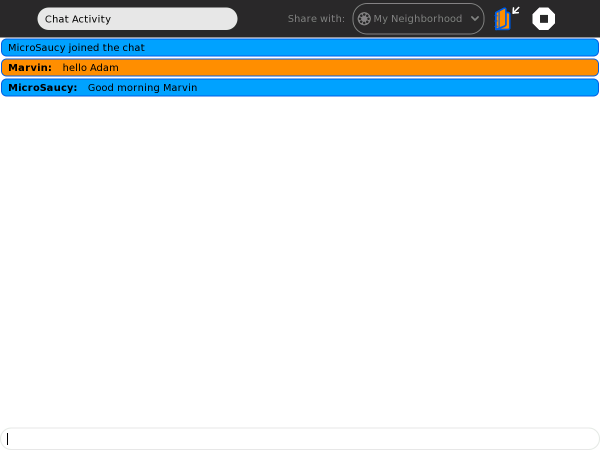 Using the Chat Activity, you can send messages to your friends about things like your journey to school or your favorite animal. You need at least two computers to use the Chat Activity - your own and the one that your friend uses. Chatting can be fun, and you can communicate with more than just one other person.